It's so crazy warm here on the East Coast that scarves are not really necessary... 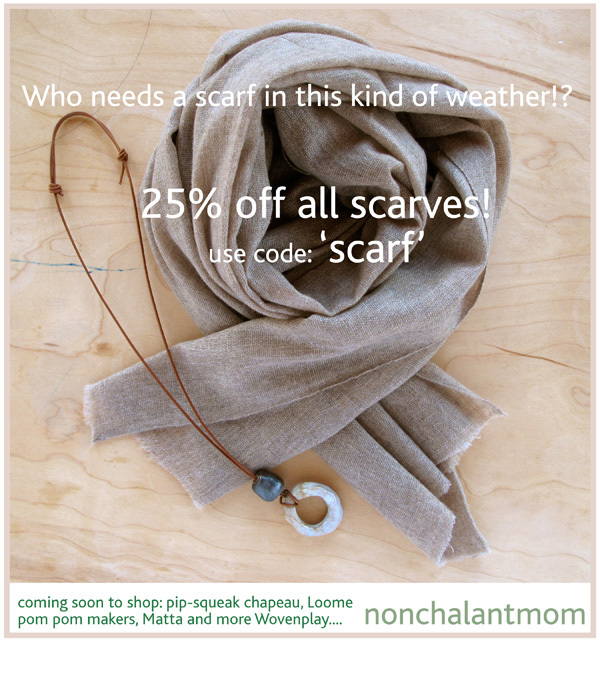 YET... but as soon as that cold wind appears you want to be READY with your new warm and trusty, cozy SCARF. Use code: 'scarf' and take 25% percent off your purchase. 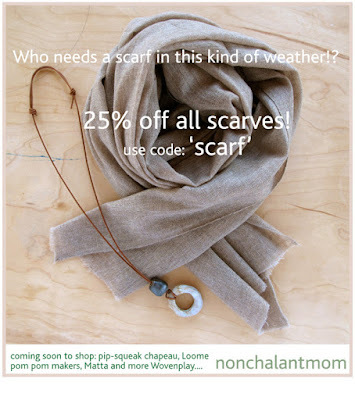 and they make the perfect gift... because a wise friend once told me "sometimes all you need is a new scarf!" - and I wholeheartedly agree!